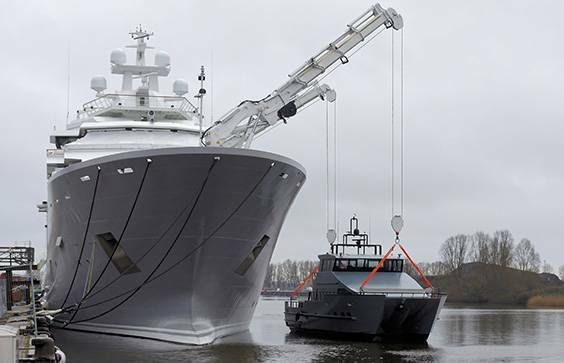 One of the world’s largest dedicated luxury explorer yachts, the 107 meter Ulysses, is equipped with eight PALFINGER MARINE cranes in total. Two heavy duty foldable knuckle boom cranes, four extension booms (type PK 90002 M) and two smaller compact cranes. In March 2016 the yacht was delivered to her owner. Ulysses is the first private superyacht undertaken by Norwegian shipbuilder Kleven and reaches a top speed of 16 knots. 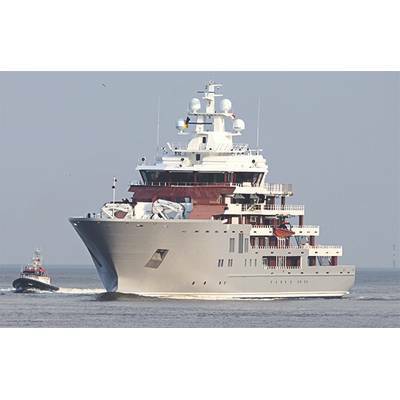 Ulysses can accommodate 60 guests over seven decks and offers amenities including a helicopter landing pad, helicopter garage and a swimming pool. 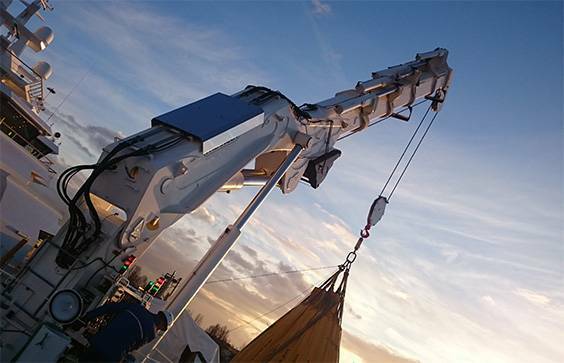 For this delicate project, PALFINGER MARINE cranes were chosen. This meant a new experience for the departments involved. 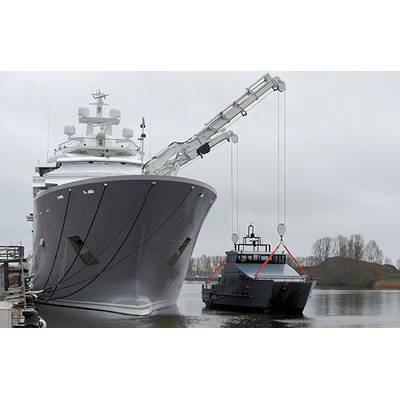 The huge 21 meter tender requires two of the biggest specially designed heavy duty foldable knuckle cranes (PFM 4500) with up to 25 ton capacity each, to lift it to and from the foredeck. 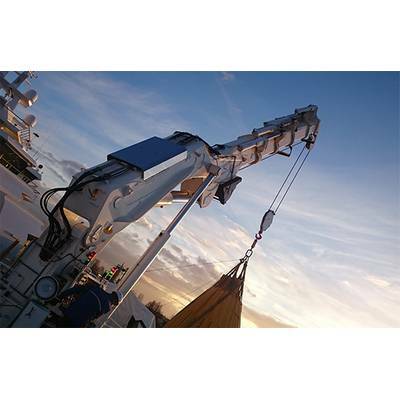 Two PK 90002 M extension booms mounted on each side additionally take care of launching smaller vessels. Two PC2700 compact cranes are the perfect choice for internal lifting purposes. All eight cranes have the highest demands on functionality and design. From the first minute of this project it was clear that the PALFINGER MARINE team was dealing with a very special project with different kinds of challenges along the road. The sales, service, design and project management departments are very proud of being part of this prestigious project and the successful contribution to it. 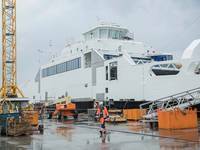 The project was carried out in close cooperation with long-term Norwegian partner Bergen Hydraulic. 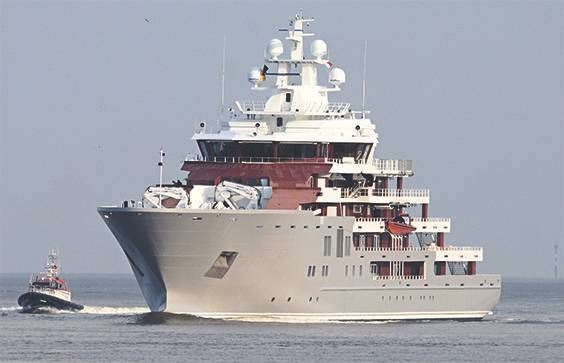 The same type and amount of cranes for a follow-up project, a 116 metre Megayacht for the same owner/yard, have recently been delivered to Norway. 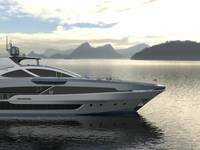 The commitment and passion proved PALFINGER MARINE right: new inquiries for similar applications in the yacht environment have already been received and further business from this segment is expected.